Air Quality - Improve Your Air Quality In Belleville | Air Temperature Control, Inc.
Did you know that there are actually five to ten times more airborne contaminants inside your home than outside? Your indoor air includes everything the cat dragged in — literally. Air quality testing and proper air filtration devices can keep your air quality healthy and help to reduce asthma and allergy symptoms. 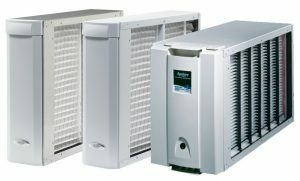 For air quality HVAC services in Belleville, contact Air Temperature Control, Inc. today. 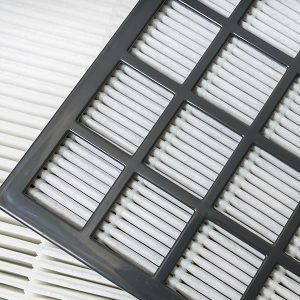 Did you know that the amount of pollutants, dust, chemicals, smoke, and other allergy-inducing airborne contaminants is typically 5 to 10 times higher in your home than outdoors? This is because pollutants can become trapped in your home heating system, air conditioning unit, and ductwork, constantly building up and increasing the contamination level of your air supply. A high level of pollutants in a home’s air supply has been linked to a variety of respiratory illnesses, such as asthma and allergies, as well as an increase in respiratory and ear infections. Consider air quality testing to see if your home’s air supply is contaminated. 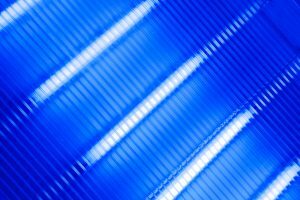 It may sound like something out of a science fiction movie, but germicidal UV lights are very real – and effective. When placed in a home’s heating and cooling system, UV lights have been proven to reduce airborne bacteria and viruses by up to 97%. Additionally, UV lighting kills mold, which otherwise thrives in the cool, moist interior of air conditioners. This leads to both cost savings and health benefits, because not only can mold growth in your AC system lead to respiratory problems, but it reduces the lifespan and efficiency of your air conditioning unit. Air Temperature Control, Inc. is an authorized AprilAire dealer providing competitive prices and professional installation for germicidal UV lighting systems. This state-of-the-art lighting is guaranteed effective at improving your systems efficiency, as well as your home’s indoor air quality. One of the most important elements to achieving ideal home comfort is also the most misunderstood. Having humidity levels in your home that are too high or low can have drastic effects on your health, skin, the effectiveness of your heating and cooling equipment, and even cause cracks in hardwood floors. Also, unlike portable humidifiers that only correct moisture levels in a single room, whole-home humidifiers continually monitor relative humidity levels throughout your entire home. Air Temperature Control, Inc. is an authorized dealer of AprilAire Whole-Home Humidifiers that deliver the perfect amount of moisture throughout your entire home. Dry air can have serious effects on your family’s health. For more information about whole-home humidifiers, or to schedule an in-home estimate, contact the indoor air quality experts at Air Temperature Control, Inc. Does the air in your home feel stale? Do you or your family members suffer from allergies, asthma, or constant colds? Regardless of how often you clean your home, it’s very likely that your home is full of contaminants from household cleaning chemicals, smoke, bacteria, pet hair, dander, mold, dust, and countless other pollutants. These pollutants can irritate your respiratory system and even cause serious illness. Whole-home air cleaners work in conjunction with your heating and cooling system to eliminate bacteria and pollutants in your home and improve your indoor air quality. 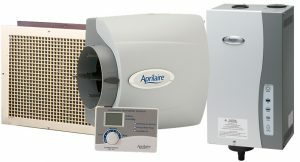 As an AprilAire Authorized Dealer, Air Temperature Control, Inc. provides the competitive prices on the sale and installation of AprilAire Whole-House Air Cleaners, UV Lights, and Humidifiers. Contact us today for a free in-home air quality assessment and a free estimate for improving your indoor air. We are your HVAC service in Romulus, Ypsilanti, Canton, Ann Arbor, New Boston and the surrounding areas.